Make your way through the recording and mixing jungle. In today´s blog we have the very talented Erik Reichers. Erik Reichers has produced, mixed, and engineered for some of the recording industry’s most notable artists including Bono, Snoop Dogg, Eric Benet, Ron Fair, Tal Herzberg, Ryan Tedder and DJ Battlecat. In 2011, Erik has partnered up and built the Echo Bar Recording Studios with his friend Bob Horn. There are so man different techniques and ways to mix and record, it´s overwhelming. What´s the right way? What techniques should I use? Great question! The answer? You´re about to find out. “One of the reason I chose audio engineering and music production as my profession was because of the amazing sounds I heard on some of my favorite records growing up. The infamous drum break at the end of Phil Collin’s, “In The Air Tonight”, the epic guitar sounds on Steve Vai’s, “Passion And Warfare”, and the gigantic, lush choir sounds on Michael Jackson’s “Earth Song” and Madonna’s “ Like A Prayer” are not only sonic ecstasy but also great examples of my inspiration for wanting to learn the art of audio engineering and music production. As a young aspiring engineer, I wanted to learn how these amazing records were made. When I started my internship at the Sound Kitchen in Franklin Tennessee, I asked many, more experienced engineers lots of questions. What’s the best vocal mic? What’s the best compressor for drums? How do you mic a guitar speaker cabinet…etc? What I found was that when I asked the same question to several engineers I got a lot of different answers. This confused me. I thought there would be definitive answers to these questions. With all the different answers I was fascinated but also a bit overwhelmed. I remember thinking, “Where do I start?” One engineer said, that he likes a Neumann U87 or U47 for recording vocals while another engineer said that he likes a Telefunken 251 or an AKG C12. I thought to myself, the next time I have a vocal recording session which one should I choose? Some engineers would tell me that the dbx 160x was their favorite kick and snare compressor. Other engineers would tell me that the Valley People Dyna-Mite was theirs. I remember thinking, “Is one of these better than the other?” When I started assisting, I observed many engineers utilize their own techniques during recording and mixing sessions. I would make mental notes of these techniques and eventually try them during my own recording and mixing sessions. I remember reading about a stereo mic technique for recording orchestras called mid side. I thought, “What would this sound like in front of a drum kit?” So, I tired it. I remember watching some engineers strap a pair of Neve 1073’s across their 2 buss to impart the sonic character of the transformers on their entire mix. So I tried doing that on some of my own mixes. The important part all of this was that I was trying these techniques and making some type of a sonic reference notes in my head. Making a mental note of what things sounded like was key. I could listen to what other engineers told me was their favorite techniques and gear to use but until I had tried these things myself I had no real frame of reference. If you want to learn more from Erik and Bob Horn, we´ve recently released a full course: Producing and Mixing at Echobar Studios. 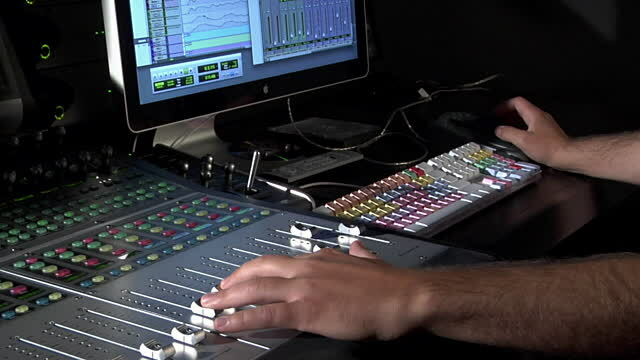 In this course, Erik and Bob will walk you through their whole process of producing and mixing a song from scratch: Along with in-depth footage of the recording and production process, you´ll get to see both Erik´s and Bob Horn´s approach to mixing the song. But by learning the approaches and techniques of different professionals and applying them in your own music, you´ll grow as an engineer. Eventually, you´ll be able to find the workflow that suits you and your clients music the best. Artists are going to seek you out for you to get your individual approach and taste. Producing and Mixing at Echobar Studios is currently on pre-sale, so jump on it now, while the price is still low! I hope you´ve enjoyed this article. We´ll be happy to help!